Sir Stirling Moss, OBE is a British former Formula One racing driver. 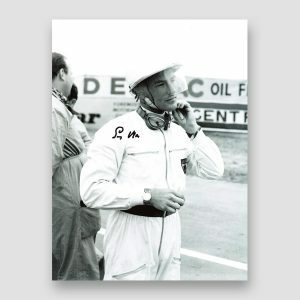 An inductee into the International Motorsports Hall of Fame, he won 212 of the 529 races he entered across several categories of competition and has been described as "the greatest driver never to win the World Championship". In a seven-year span between 1955 and 1961 Moss finished as championship runner-up four times and third the other three.